Creating a personal brand in network marketing is critical to your business success. But where do you start? 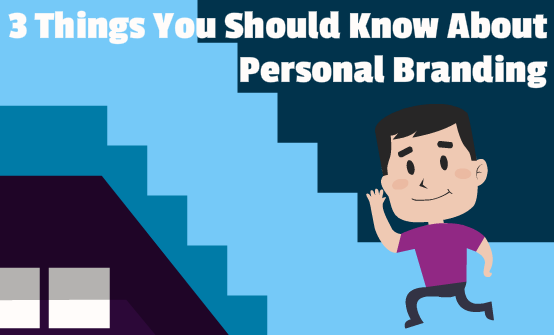 You start by first understanding what a personal brand is and how it correlates to your business success or failure. If you own your business, you are the CEO and therefore you are the brand. It’s not the MLM company you are with, it’s YOU. Your reputation and how others perceive you are all part of your personal brand. There are many distributors in your network marketing company, right? 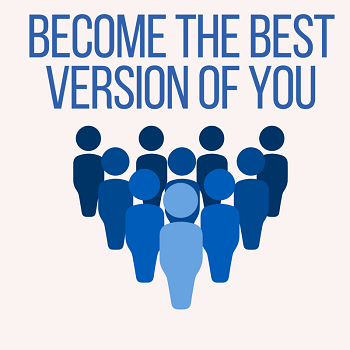 How do you differentiate yourself from everyone else? In this article, I share 3 critical things to effectively build a personal brand. How do you want others to perceive you? When others hear your name, what do you imagine they will think about? Your personal brand in network marketing is a reflection of the real you. Understanding your own beliefs and what you stand for are critical to determining the qualities that you will be known for out in the world. For example, many network marketers put their mark in social media by exactly duplicating each other, right down to the same exact words. Do you see how that is not unique? I can look at my Facebook newsfeed and see 5 different distributors from the same company all posting the exact same words. That is the opposite of building a personal brand. Instead, show the world who you are and what you personally have to offer. Although most MLM companies will provide you with the words to say to in social media, the point is not to take those words verbatim, but to make them your own. 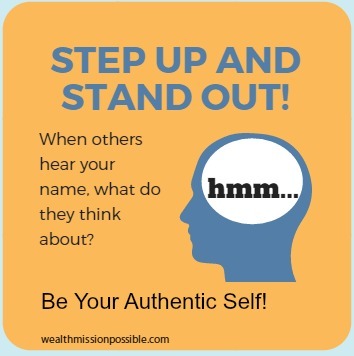 Being clear about who you are is your first step to creating a strong personal brand. You’ve heard this before. Be the expert and authority figure that others will be attracted to. When starting out in any business, you may not have an expertise in any one thing. Over time, you can develop that expertise. This goes hand-in-hand with the aforementioned Step Up and Stand Out. What is that thing that will set you apart from everyone else and how will you develop it as part of your personal brand? For example, when I first started out in network marketing, I was very successful with using blogging as a way to get leads, customers, and business partners. I was known for that and people who wanted to join the company sought me out as a sponsor. Your unique selling point doesn’t have to be technical at all! You may be an expert at helping others realize their vision for their future! By continuously learning and working on your personal development, you will grow into a person that can help others in any number of ways, and become known for that. Are you on social media? That’s the best way to building a great brand. Sharing value driven content in social media that shows your authentic self is crucial to building a reputation that you can be proud of. Be consistent in sharing your positivity and enthusiasm with others. No one will be attracted to a negative Nellie! Be active in a few social media channels until you find the one that most resonates with you. For example, trying to be active in too many social media networks may be a little overwhelming. But it’s a great way to find out which of these works best for you, your brand and your audience. Be a consistent content poster to gain more influence and get more people to share your content. Here are some good guidelines for understanding how often to post in social media. Remember, people want to connect with people. Therefore your authentic self should be reflected in all the content that you post. Personal branding in network marketing isn’t about the products from your company, it’s about you and how you express your values to the world. Today I gave you three ways to build your personal brand. Which of these resonated with you? Your brand is how others perceive you and what type of impression you make on those you meet both online and offine. What has been most challenging for you in building your personal brand? Do share in the comments! My challenge has that there are too many of us now selling same products on Facebook.I get your point though about uniqueness. I have moved to a page.I have small traffic but at least I get to see how many people have visited. I’m battling to recruit but on a positive note I get buyers. I do agree to all the points you’ve made in this article and I do agree that if you want to have a better personal branding, you need to step up your game, improve constantly and get specialized on a certain niche. I’ve tried getting known on a lot of niches, but it’s overwhelming most of the times, so I’ve specialized only on the fashion side. For the moment, thing look great, but I know I have to work a lot more to improve in this domain.